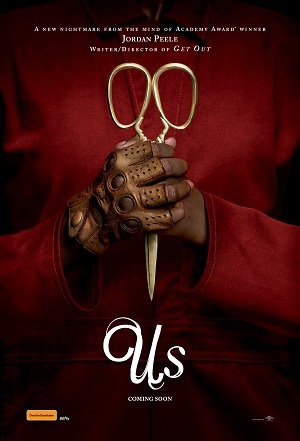 As perplexing a horror movie experience as they come, Us establishes Jordan Peele as a thinking mans genre filmmaker, with his latest a delve into the duplicitous nature of humanity told with skill, ambition, and a ferociously good performance from Lupita Nyong’o. Following a universally praised debut is not an easy task, no matter if it’s a film, album or book. That bar has been raised, and expectations are high. 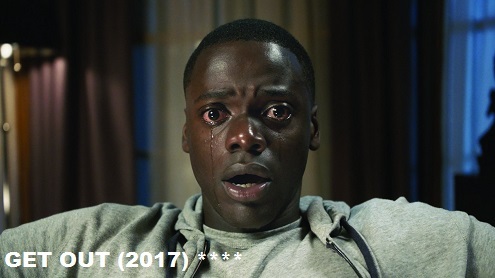 Get Out is as high a bar as they come. 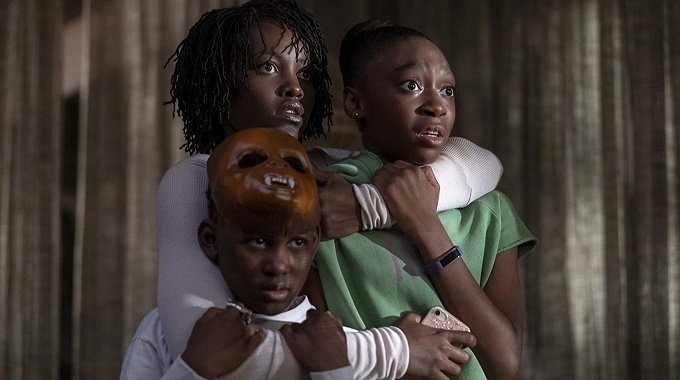 Written and directed by Jordan Peele, the $5 million budgeted horror movie on race relations in America became a box-office hit and won numerous accolades (including an Oscar). Now Peele returns with Us, a film that is as perplexing as it is creepy. Box-office and critical acclaim is high….but it ain’t no Get Out. What Us is, however, is as a fiercely original and intriguing work, and in a film landscape where repetition and formula are the norm, this is very much a good thing. Us follows the Winston’s – Adelaide (Lupita Nyong’o), Gabe (Winston Duke), Zora (Shandi Wright Joseph), and Jason (Evan Alex) – an affluent African American family on vacation in Santa Cruz. It doesn’t take long for their serenity to turn into chaos, when a group of red jumpsuit clad doppelgangers with very bad intentions terrorises them. To say more will give away too much of a movie that should be experienced with the freshest of eyes. 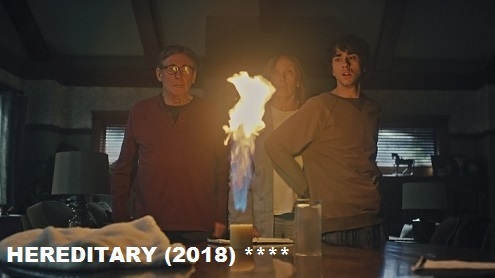 While Peele is a well-known horror connoisseur, his own films refuse to give into convention, the Oscar winner opting (shock! horror!) to create his own mythologies and his own monsters. While this is indeed refreshing, Us can be muddled in the confusion of Peelie’s inventiveness. Peele most definitely has something to say, yet the way he does so can be head scratching, albeit intriguing. What cannot be denied is the skill in which Peele presents his films. Rich in memorable visuals that will no doubt join the strong history of horror iconography, Us never ceases in grabbing our attention whether it be through the acute use of colour (cinematographer Mile Gioulokis providing excellent visuals), or the excellent staging of scenes where tension gives way to genuinely creepy moments that thankfully are not of the overused jump-scare variety. Terrific performances feature throughout. Wilson Duke is a hoot as the dad with bad jokes and even worse judgement. The standout though is Lupita Nyong’o, who is both sympathetic and terrifying in a dual role that exemplifies the wide range that the Oscar winning actress has in her acting arsenal. The chilling interpretation of her doppelganger character is pure nightmare fuel, a raging yet methodical creature of murderous intent, determined to display society’s reflection upon itself. Peele’s intention is to remind us that we are our own worst enemy, and during this day and age in which we have created alter-egos within the online sphere, it is timely and important commentary. Are we who say we are? Or are we merely how we project ourselves, especially on digital platforms where many project their darkest thoughts under the guise of anonymity. Either way our misdeeds come back to bite us eventually, and often by our own hand. Us is a relevant representation of that.